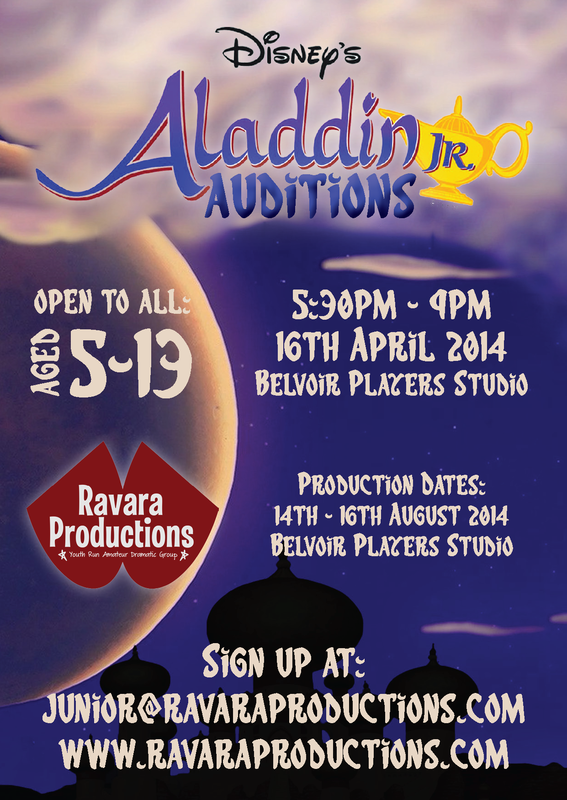 Make sure you sign up by emailing junior@ravaraproductions.com. You'll be sent an email with information with a link to a sign up form, and you'll need to email a headshot for audition purposes. Those who have completed the form will then be posted an information letter. Please note that the online sign up is essential. See you at the auditions! It's important that you come to your audition knowing the synopsis (or storyline) of Aladdin Jr. Click here to read the synopsis. It might be best if you prepare for at least two characters, just so you can show us all you can do. You'll not have to learn any of this off, as we'll have copies of the script/score in the audition room for you to use, but it would help if you knew it all really well! Please use the above YouTube video to listen to the songs, from Aladdin Jr. These will be covered in auditions and rehearsals. 13- 10:48 - Why Me?